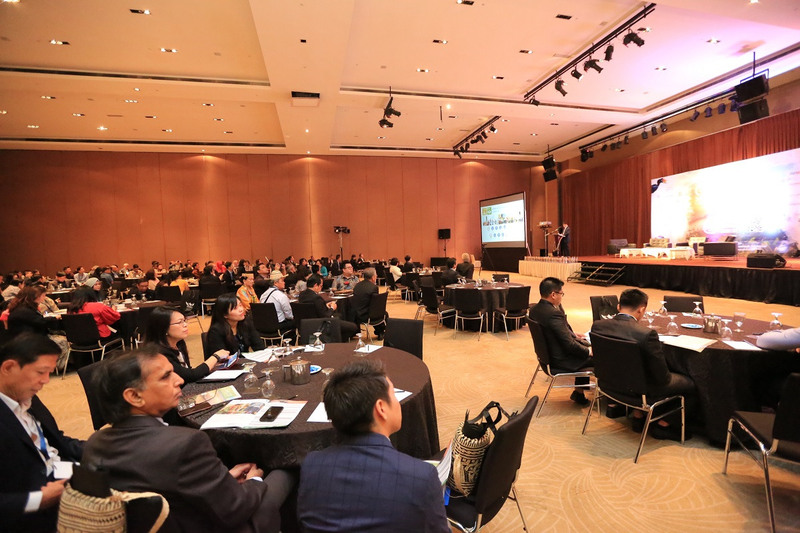 KUCHING, 4 APRIL 2019, WEDNESDAY: At the 11th Global CSR Summit here today, Sarawak Energy highlighted the group’s alignment with the United Nations Sustainability Development goals, targeted at catalysing a sustainable economy, transitioning social outcomes as well as improving environmental footprint in addition to its primary goal of greater access to renewable energy and mitigating climate change. Datu Sharbini Suhaili, Sarawak Energy Group Chief Executive Officer, said when delivering his keynote address titled ‘Sustainability: Creating Value through Corporate Activism’, “The impetus is to maximise the positive impact of what we do for our community and minimise the negative impact of our operations and this includes powering sustainable growth of the communities in the areas we operate in. In 2010, under the Sarawak Corridor of Renewable Energy or SCORE, Sarawak Energy shifted to renewable hydropower as its predominant source of energy. This has allowed it to supply renewable, affordable power to Sarawakians while subscribing to a set of 26 Hydropower Sustainability guidelines which defines expected sustainability performance touching on environmental, social, technical and governance topics relevant to hydropower activities. Sharbini said going by these strategies had enabled Sarawak Energy to be part of the global community which advocates best practices. The group is a member of the International Hydropower Association, an elected board member to the Hydropower Sustainability Assessment Protocol and member of the UN Global Compact Network Malaysia and Global Reporting Initiatives. In addition, he said Sarawak Energy continues to explore new methods and alternative energy sources as in line with the nation’s initiatives on renewables to minimise climate change negativity. He said the group under the guidance of the Sarawak Government has embarked on greening the transport system by supporting electric vehicles on the road as well as advancing its study on ‘fuel of the future’- hydrogen fuel cells- with the setting up on a hydrogen production plant and refueling station. “As it is now we have taken a holistic approach to achieve a balanced energy development which takes into account reliability and security of supply to drive socio economic transformation in Sarawak for today and tomorrow, maintain affordable tariff for the people and uphold sustainability best practices for sustainable growth,” he added. The theme for the 2019 event is “A New Era of Corporate Responsibility & Activism” with over 200 delegates consisting of local and overseas guests. The 25 speakers are mostly thought leaders from various industries sharing on innovative ideas on environmental protection and resilience, community empowerment, gender equality and workplace diversity, supply chain transparency, corporate transparency, brand activism and consumer data protection. Also speaking at the summit representing Sarawak Energy were Aisah Eden, Sarawak Energy Executive Vice President for Corporate Services, Jiwari Abdullah, General Manager for CSR and Sustainability and Mohamad Irwan Aman, Senior Manager for Sustainability. The summit also featured an awards ceremony in which Sarawak Energy received a Platinum Award under the Best Community Programme for the “Telang Usan Sape Heritage Programme” and the “Baleh Skills Training Programme”, a Platinum Award for the Empowerment of Women for Sarawak Energy Leading Women Network (SELWN), a Platinum Award for CSR Leadership for driving the company’s CSR and sustainability efforts and a Gold Award under the Best Environmental Excellence Award for its CSR Solar Project at Tanjung Datu National Park, and two turtle islands, Talang-Talang Kechil and Talang-Talang Besar. Sharbini received the awards from Sarawak Minister for Welfare, Community Wellbeing, Women, Family and Childhood Development, YB Dato Sri Hajah Fatimah Abdullah. He was accompanied by Aisah, Jiwari and Sarawak Energy Vice President for Rural Electrification, Dr Chen Shiun (郑勲). Sarawak Energy Group CEO Datu Sharbini Suhaili (8th from right), Executive Vice President for Corporate Services Aisah Eden (10th from right) and the team in a group photo with Sarawak Minister for Welfare, Community Wellbeing, Women, Family and Childhood Development, YB Dato Sri Hajah Fatimah Abdullah. 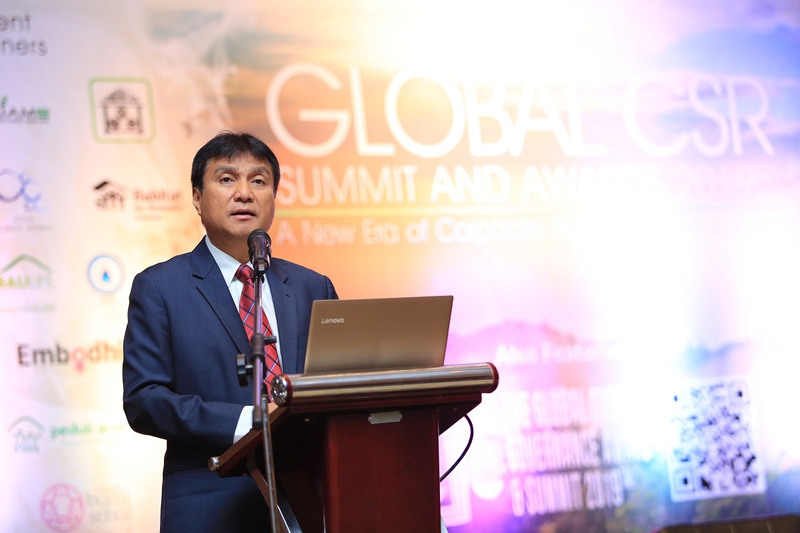 Sarawak Energy Group CEO Datu Sharbini Suhaili delivering his keynote address at the 11th Global CSR Summit.